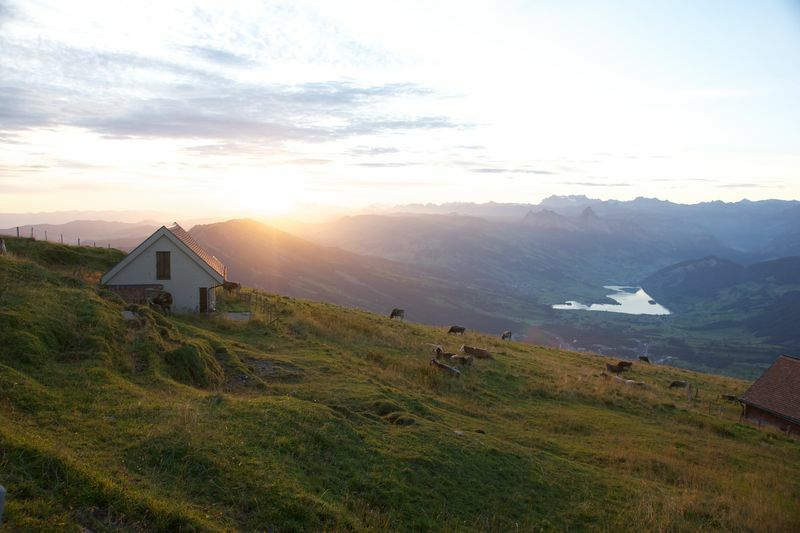 Search for traces of glaciers on the Seebodenalp! One of the themes of the Glacier Trail is the last Ice Age, and it attempts to make this part of nature more comprehensible. This walking trail along traditional paths has everything you could want for a great day on the mountain. 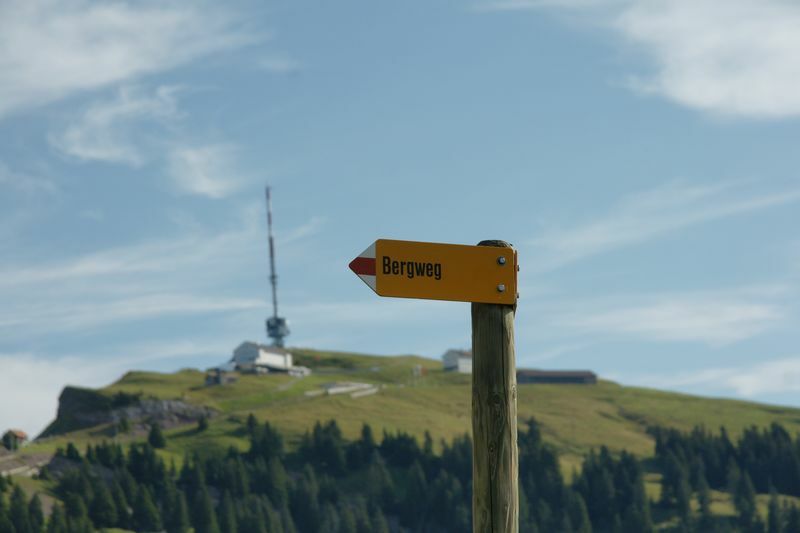 Your hard work will be rewarded with fabulous views throughout the entire 1,350-metre ascent. 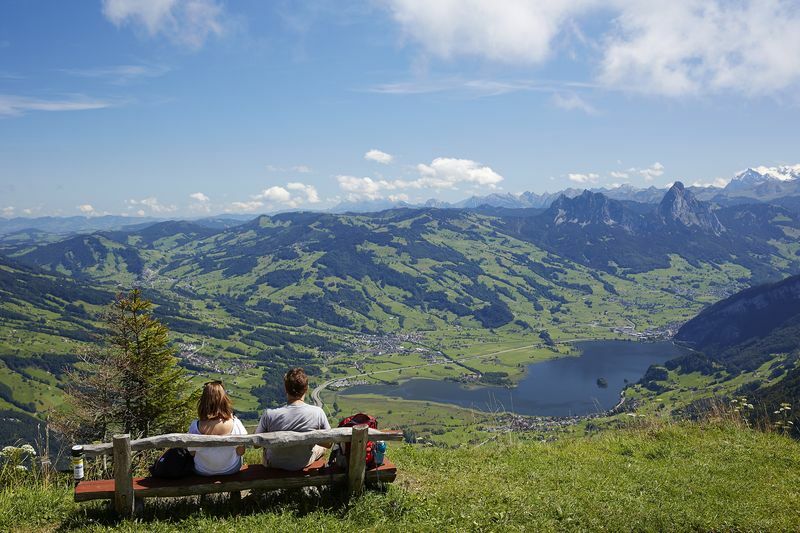 From Rigi Kaltbald there is a fairly steep ascent to Rotstock where you can enjoy a fantastic panoramic view. 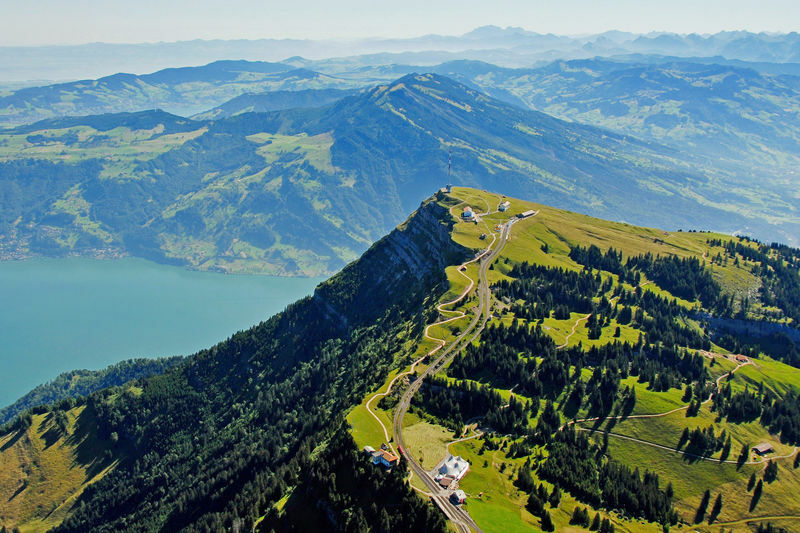 From Rostock there is a short descent to Rigi Staffel. A very easy walk on well-made paths. 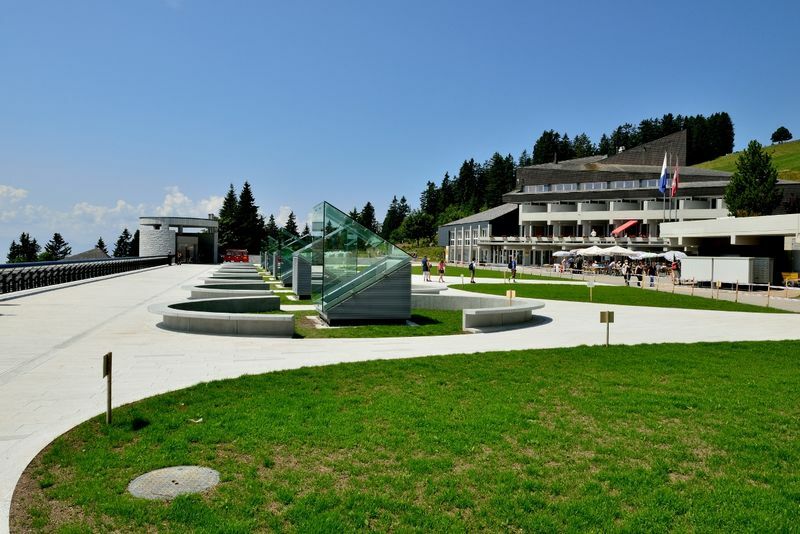 In the area around Rigi Kaltbad/Rigi First it's even suitable for prams and wheelchairs. The Felsenweg is closed in winter. After the walk you can catch a train back down to the valley from Rigi Wölfertschen-First, Rigi Klösterli or Rigi Kaltbad. 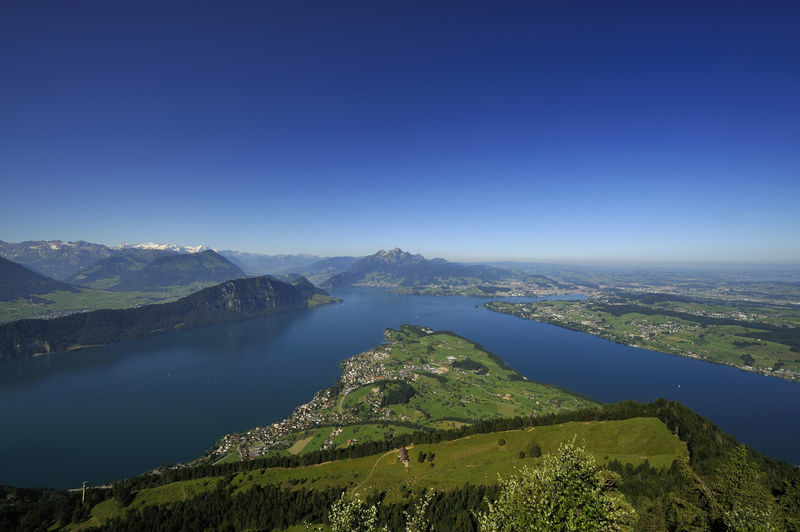 There is a gradual incline all the way from Rigi Klösterli up to Unterstetten. The subsequent climb up Dossen is more challenging and requires a good level of fitness. 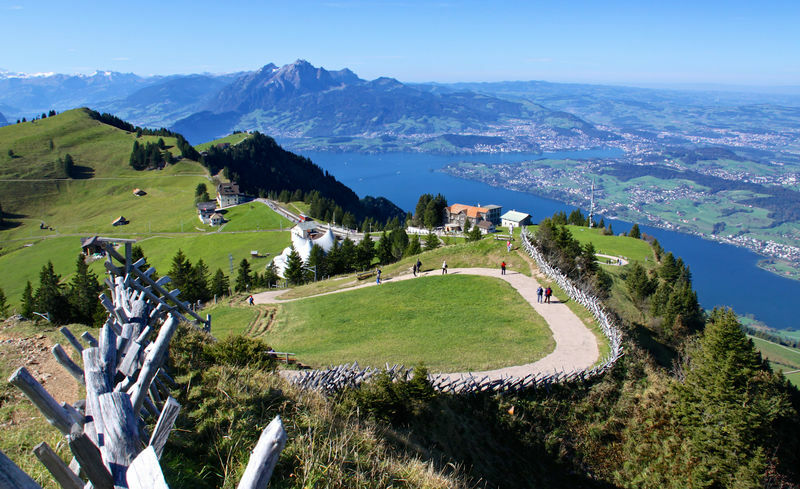 After the descent to Hinder Dossen, the trail then slopes gently upwards to the final destination at Rigi Scheidegg. 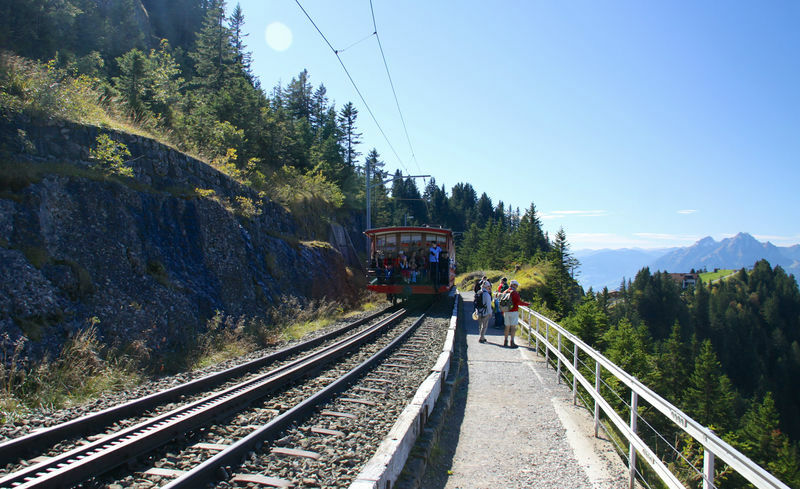 An easy, panoramic walk that you can do with a pram, too. 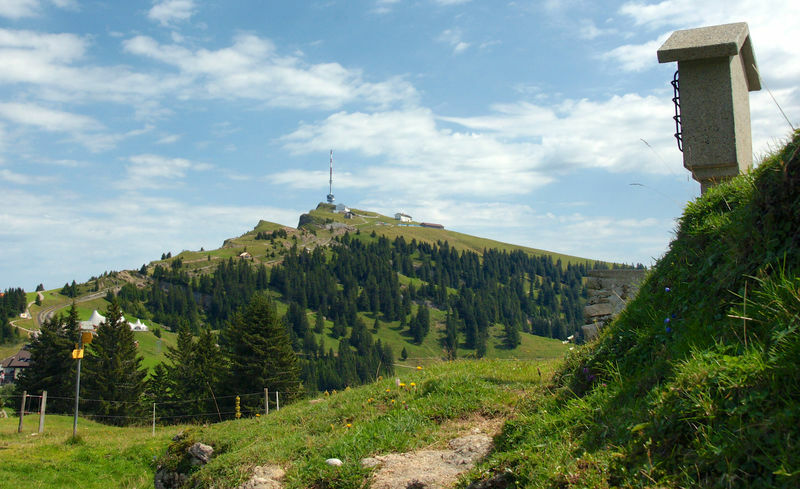 This gorgeous route features several steep climbs and descents on the way to Unterstetten. 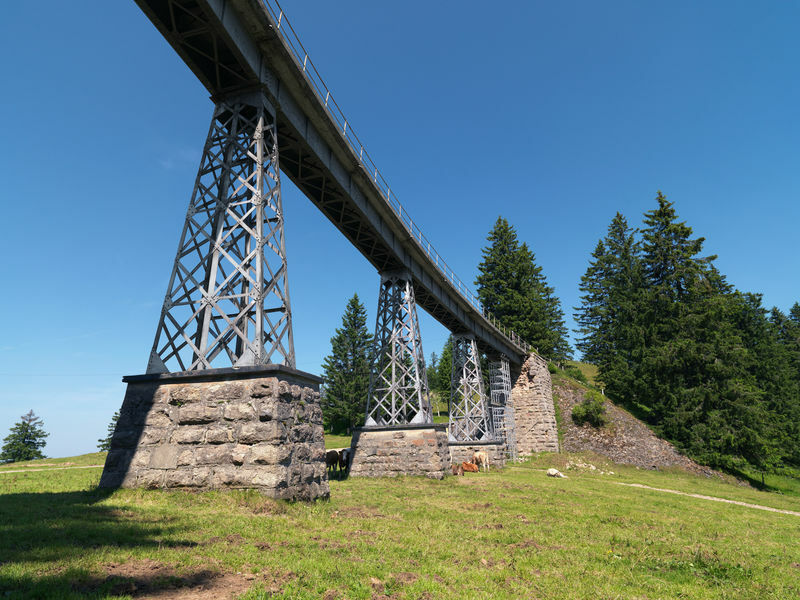 From Unterstetten, the trail is completely flat and follows the former Rigi-Scheidegg railway line to Rigi Kaltbad. 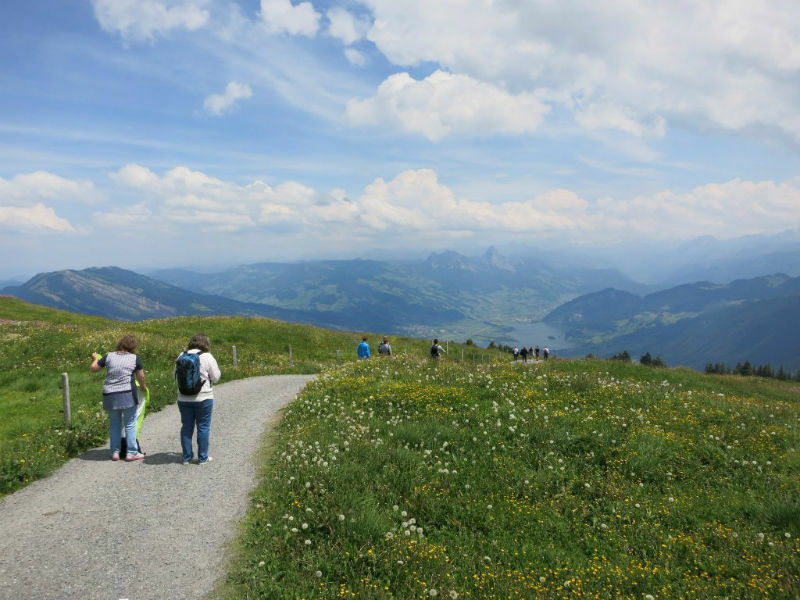 A short and easy walk that starts off nice and flat, following the former Rigi-Scheidegg railway line. From Rigi First there's an asphalt path leading down to Rigi Klösterli. This spectacular hiking trail is all downhill. 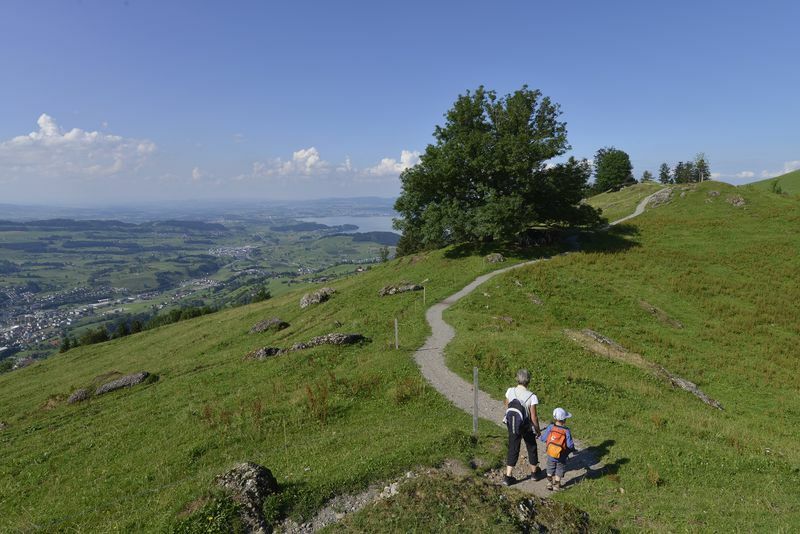 Sturdy shoes are recommended as the trail is quite steep in some parts and includes a decrease in altitude of 400 metres between Rigi Kulm and Rigi Klösterli. 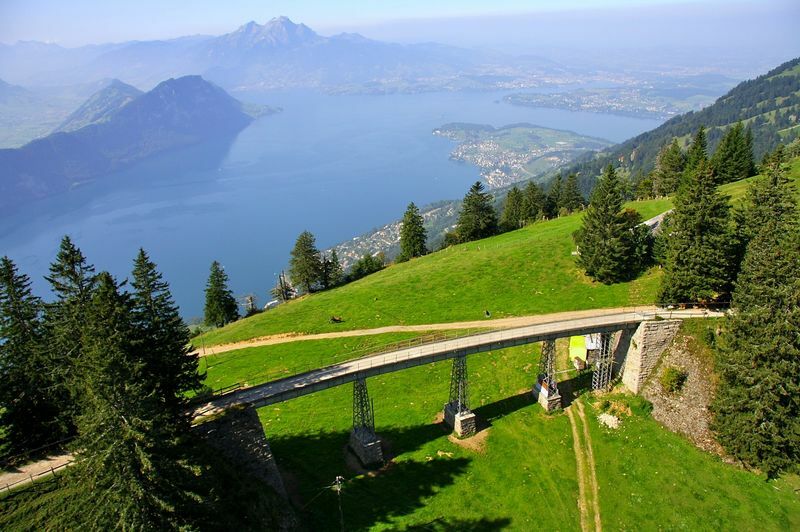 The last section between Des Alpes and Rigi Klösterli features an asphalt path. A challenging trail for seasoned hikers. 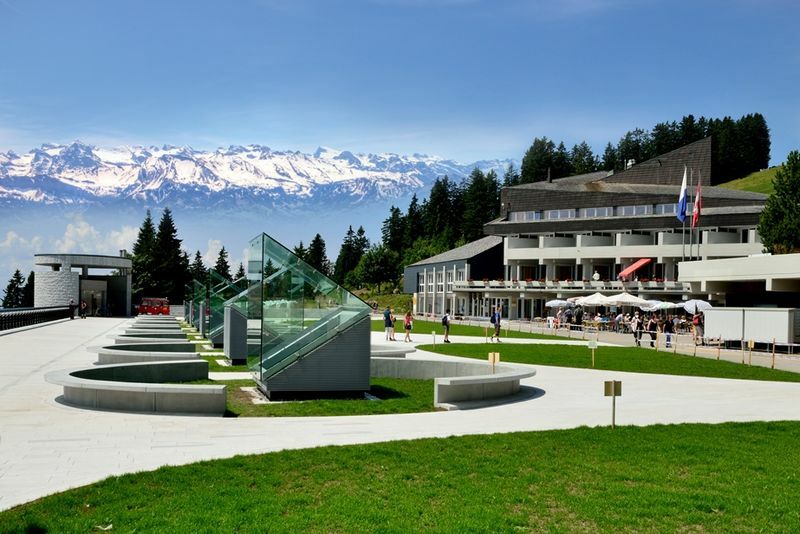 This tough climb is rewarded with spectacular panoramic views. A short hike that packs a punch. This 4 km trail features a difference in altitude of almost 500 metres. It's ideal for very fit hikers looking for challenge.